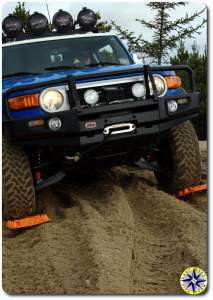 4×4 off-road adventures can put you in some sticky places and the last thing you want is to get your 4WD truck stuck. Winches are great for self recovery as long as you have an anchor point. But what do you do if there nothing but sand all around and no other rigs about? We tested out a recover system (aka sand ladders) from Maxtrax out of Australia to see if we could find an easy one man means for getting unstuck. The first thing you notice about Maxtrax is they are light, easy to work with and stack neatly for storage. The second thing you notice is that Maxtrax put a lot of thought into their design and managed to build a better mouse trap with added gripping power built into the ladders as well as handles. But do they work? 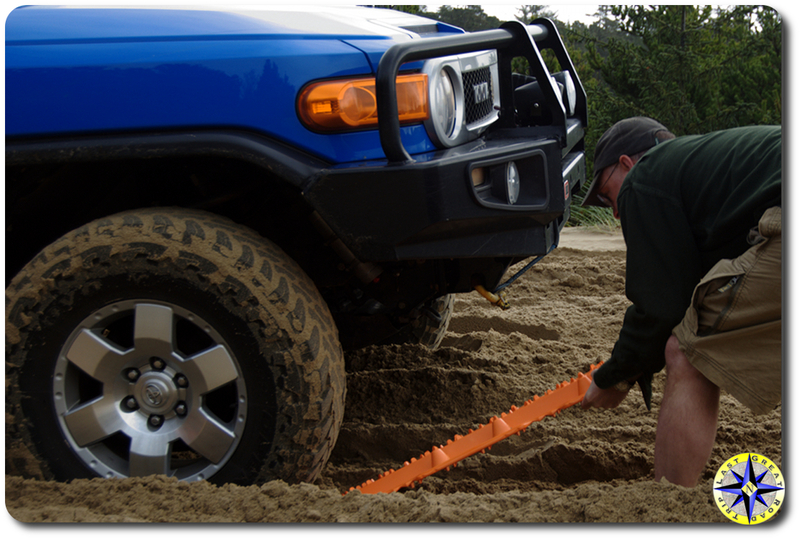 Putting the sand ladders to work is pretty easy… On 4WD vehicles, place the Maxtrax up against the front wheels. 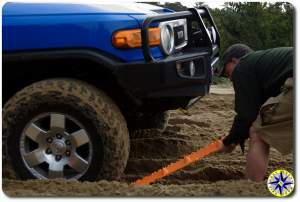 You may need to dig a little so the ladders lay as flat as possible, but that is easy enough since the Maxtrax can act as a shovel for scooping sand out of the way. 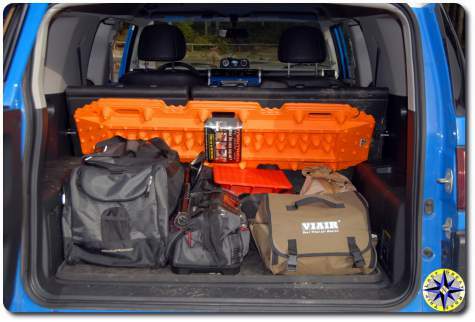 With the ladders in place, climb in the 4WD rig and drop it into low. Gently apply the throttle. As the tires slowly turn they will draw the Maxtrax sand ladders in and climb on top using the recovery system to gain traction and move the rig forward. 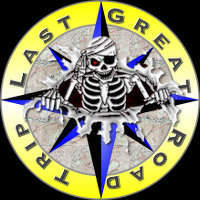 Keep the throttle steady and drive straight. Once you’re onto firmer ground, it’s easy to go back and grab your Maxtrax for the next time you need a little help out of a sticky situation. 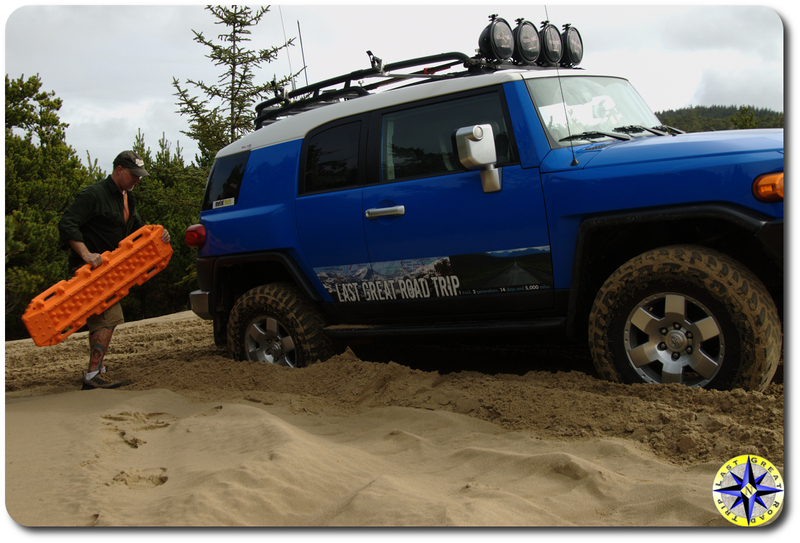 As advertised the Maxtrax recovery system worked well for getting us out of the deep sand. When it came to hills we found it takes a little more work to use the ladders to move forward like climbing steps. Put the sand ladders under the rig, climb forward, retrieve the ladders, rinse and repeat until you’re up and over the dune. 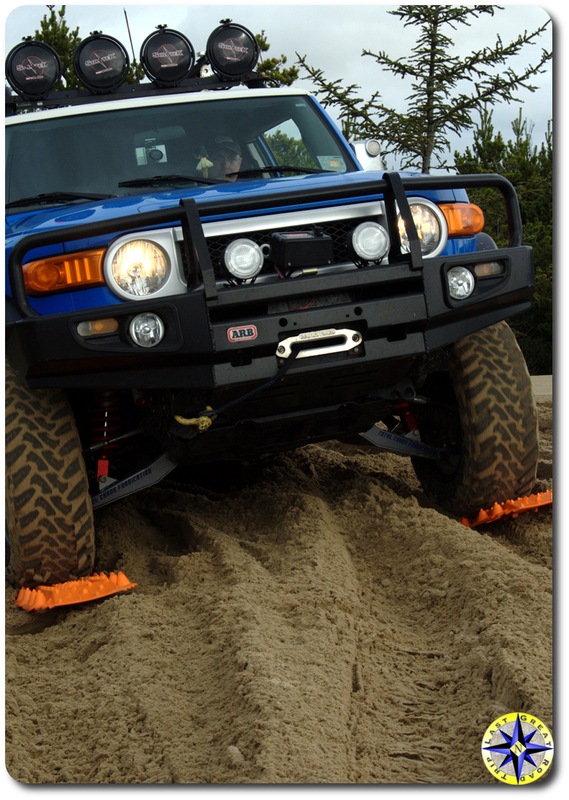 Maxtrax recovery system does make self extraction in sand, snow and mud an easy one person job. 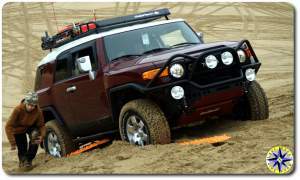 These Maxtrax have definitely become a standard for our off-road adventures. Thanks for the comment and compared to a shovel, you’re right… compared to a $1,000 winch when you have nothing to anchor it too… seems like a fair trade.